Tonight marks the keynote address of the final Final Fantasy 14 Fan Fest event, this time taking place in Tokyo, Japan. Final Fantasy 14 director and executive producer Naoki Yoshida took to the stage to reveal the last bit of information about the upcoming Shadowbringers expansion. 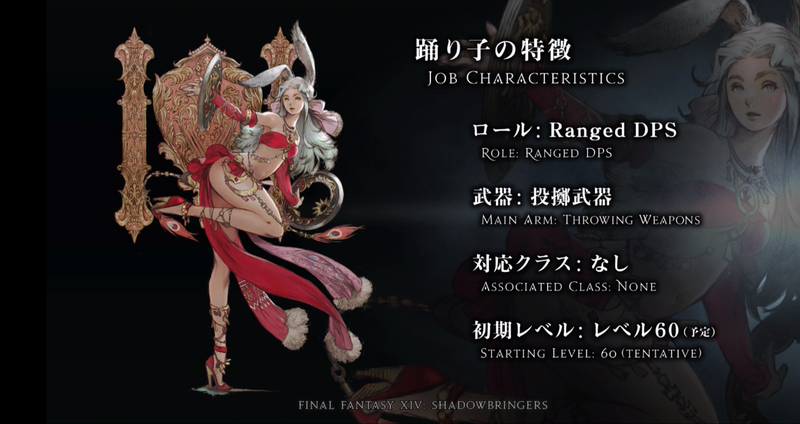 To kick off the event, Square Enix showed off the full trailer for Shadowbringers, showing off the final job of the expansion: Dancer. The Dancer is a ranged DPS role, not melee despite the chakram they use as weapons in the art. They're thrown weapons, with the chakram only being one version: shurikens and other thrown items are planned. The Dancer of course performs dances, which can enhance yourself and party members. Anyone who picks up Shadowbringers can switch to Dancer at level 60. The Dancer job quest will start in Limsa Lominsa. Dancer joins the Blue Mage, which was added mid-patch, and the previously-announced Gunbreaker. The latter is a tank job that utilizes the Gunblade, a weapon inspired by Final Fantasy 8, to protect friends and harm foes. Final Fantasy 14: Shadowbringers is coming to PC and PlayStation 4 on July 2, 2019. Tagged with MMOs,	News,	PC,	PlayStation 4,	Square Enix. If you’re heading into PvP in The Division 2, you’ll need to run with a good build. Here are the best builds in The Division 2. You’ll notice a slot for FX mods on some of your Skills. Here’s all you need to know about them.